I have edited the /etc/hosts file on macOS 10.12.6. Then trying to flush the DNS services has no effect, why? cat -te ... shows a ^I for tabs and a $ for newline to show what is exactly in the file. None of my browsers (Safari or Chrome) seem to honor the new hosts entry. I am most certainly doing something wrong here, any help is welcome. I'd recommend Gas Mask (freeware, no affiliation) which not only eliminates the need to try hack it in terminal, but also allows you multiple versions of the hosts file, switchable on the fly, instant response. To use, Create a new file - it will setup the defaults automatically. Copy/paste any existing setup you want to carry over from any file to any other. Add any new data in the same format - it's very lenient on formatting, tab or space. You can swap profiles any time the app is running, otherwise your last chosen will persist. Activating a profile makes it immediately available. Not the answer you're looking for? 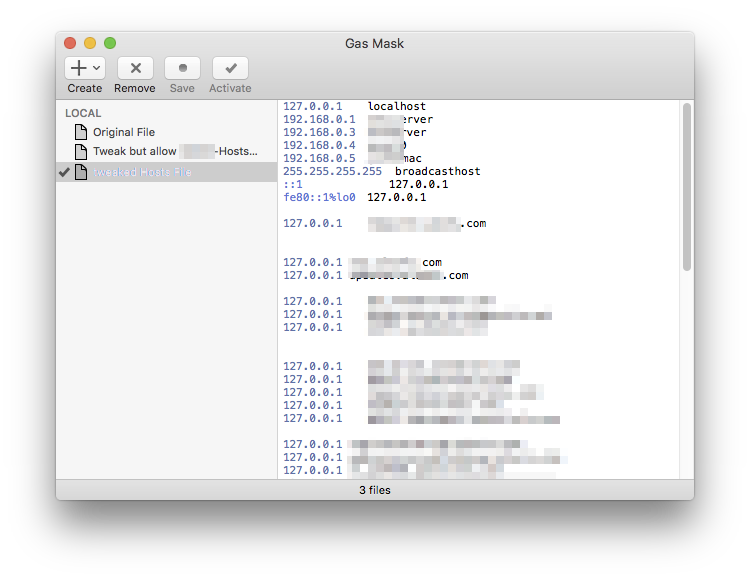 Browse other questions tagged macos dns hosts ping . How make changing to the /etc/hosts file take effect? when is the /etc/hosts file loaded?